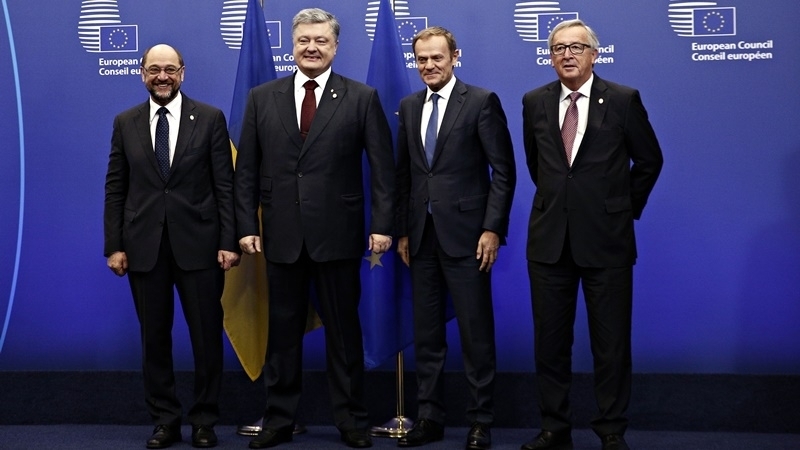 The leadership of the European Union and Ukraine will mark the entry into force of the visa-free regime. The war in the Donbas and the issue of reforms will be discussed at the working part of the summit. The next, 19th summit of Ukraine-EU will be held in Kyiv on July 12-13. The summit will be attended by the President of the European Council Donald Tusk, President of the European Commission Jean-Claude Juncker and High Representative of the Union for Foreign Affairs and Security Policy Federica Mogherini, according to Interfax- Ukraine. European Commission Vice-President for the Euro and Social Dialogue Valdis Dombrovskis, as well as European Commissioners Johannes Hahn and Cecilia Malmström, will also take part in the summit. 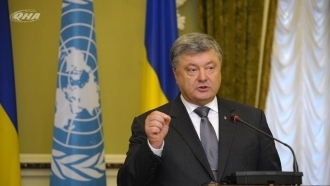 President Petro Poroshenko will represent Ukraine at the summit. “The summit in Kyiv will welcome the completion of the ratification of the Association Agreement and the recent entry into force of the visa liberalisation for Ukrainian citizens, both fundamental steps to reinforce EU-Ukraine partnership,” reads the message of the EU office. Among other topics of the summit are the conflict and the crisis in eastern Ukraine, as well as regional issues and foreign policy issues, including relations with Russia, energy security and preparations for the Eastern Partnership summit, which is scheduled to be held in Brussels in November 2017. According to the program, the plenary session of the Ukraine-EU summit will open on July 13 at 11 am, and after its completion a joint press conference is expected. The issue of a joint statement on the outcome of the summit is still debatable, according to the publication. The Netherlands is now blocking the fixing of the statement on the recognition of the European aspirations of Ukraine by the European Union in a joint statement. Kyiv insists on such a formulation, and in the event that the EU refuses to include it in the text, it may even refuse a joint statement. July 11 is exactly one month since visa liberalisation between Ukraine and the EU countries. According to the State Border Service of Ukraine, over this period, more than 95 thousand Ukrainians crossed the border with the European Union without visas. Previously, EU Ambassador to Ukraine Hugues Mingarelli stated now is not the best time for Ukraine to join the European Union.